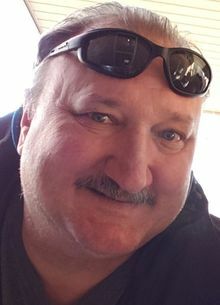 John Philip Dussor, Jr. passed away unexpectedly early Sunday morning February 17, 2019. He was the son of the late John and Laverne Weinberg Dussor. John is survived by his loving wife, Betty Dussor; his daughter, Jennifer Brown (Lucas); sons, Christopher Davis (Stephanie), Gregory Davis (Kristie); seven grandchildren, Ivan, Grace, Wyatt, Brady, Stella, Joseph, Christian; sisters, Angela, Christine, Melanie, Melinda, faithful furry companions, Missy, Charlie, Noel and many nieces and nephews. John was a navy veteran with eight years of service, followed by a 29 year career with the Department of Justice. He was a jack of all trades with at least one mastered skill, Love. John selflessly devoted himself to his family, friends and many strangers. The family will receive friends on Friday, February 22, 2019 from 5:00 p.m. to 8:00 p.m. at Memorial Funeral Home, 214 N 6th Ave. in Hopewell. His funeral ceremony will follow on Saturday, February 23, 2019 at 1:00 p.m. in the funeral home. Final rest will conclude in Merchants Hope Memorial Gardens.